Login for our subscribers. After you have logged in be sure to click your refresh button if you are not seeing Issue 100, April 2019. Thank you for your subscription! 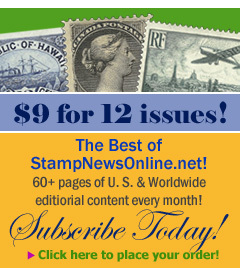 If you have not yet subscribed, please check out the Stamp News Online Sampler Issue. U. S. Stamp News Magazine is the only stamp magazine for all aspects of U.S. stamp and cover collecting. Mekeel's & STAMPS Magazine, bringing together the great writing of the past, present and future. Welcome to the Best of Stamp News Online (SNO)! Stamp News Online was created as the first Online-Only General Interest Stamp Magazine! Designed to take full advantage of web publishing without the constraints of a print magazine, every month since January 2011, we have presented over 60 pages (and sometimes more) of full color U.S. and Worldwide editorial content. We will now be drawing on those archives to present The Best of StampNewsOnline.net in future issues of SNO. To give you a better idea of what you will enjoy, we are pleased to present this Sampler Issue for your review. It is our May 2011 Issue and also includes a presentation of Famous January Birthdays from our January 2013 Issue and our 2014 Browsing the Web article on The World Cup - A Pictorial History on Stamps. These are examples of the articles we will be bringing you each and every month as part of a one year subscription that will cost you just $9 for a full year. To see the Sampler Issue just click on the link above or on the Sampler Issue button on the top right of this page . 1. 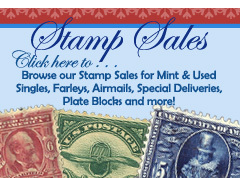 Click here or on the button "Looking for a Stamp Dealer?" 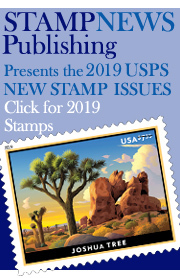 We hope you will enjoy reading this Sampler Issue of Stamp News Online Magazine and will share this site with philatelic dealers and collectors. Thank you and please subscribe if you have enjoyed this Sampler Issue.